"I am starting a new job and won't have time for dancing for 3 - 6 months. Great service and I will be back." "Thanks again for the great service. I'll be signing up again when I have time to watch more DVDs." "I am traveling now and will not be home to view the DVD's for a while. I will re-join at a later date. Thank you." "I have been a long time member of danceflix and will come back again soon." "Your service has been an excellent aid to the dance learning process. I have recommended your service to many other dancers. I thank you for all the wonderful ideas you have given my wife and I." "I just want to say that the current upgrade to your website is fantastic! It is now so much easier to search for videos since the part numbers were added to the search routine. The additional Dance Vision videos are also a big plus. I've been promoting your website to people I meet that are interested in learning to dance. Keep the updates coming and thanks again!" "I am very impressed with the customer service at Danceflix. Thank you." "Awesome....but I have seen what I need for now. Thanks for all your help!" "It would be nice to receive/return DVDs at a faster rate. Also, have you ever considered on demand? I like that Netflix has movies to automatically watch. Overall happy with the website and don't have any issues." "I love the service and will likely continue the when I have more time to review the material, satisfied overall." "Great assortment of dance videos. Nice to preview videos before purchasing as some are better than others." "Loved the service! I am going out of town and so I don't want to waste a month while being gone." "I don't have the time right now, but I thought your service and selection were excellent." "I have very much enjoyed doing business with you and will probably start up again in a few months." "It has been a pleasure doing business with you. I shall be back once the collection has expanded more. Specifically into more quality DVDs. The DVIDA ballroom videos, the Finis Jhung ballet videos, and the west coast swing DVDs were great. In regards to Hip Hop, breakdancing, Salsa, Tricks & lifts and other styles, the selections were the same ones that pretty much show up first if I googled dvds of these styles to purchase. Clearly, they have marketed their products well, but the most popular product is not always necessarily the best., which is definitely the case in these other styles. (Jabbawockees dvds were the only exception in this case for me) Thanks again." "DanceFlix is a fabulous resource for dancers looking to improve their level of dancing when you don't have time or a dance coach in your area!" "I love your service and I recommend it often. I'll be back to try again in a few months." "As a professional dance competitor and instructor, Danceflix is an amazing way to learn new dances and new moves in no time!! With the Gold plan I have virtually endless access to great dance knowledge!" "Love your service - recommend to all, new and experienced alike." "By the way, we love Danceflix and have been telling tons of people about it when out dancing (and showing off some new moves thanks to you guys). Keep up the good work!" "Great service. I expect to be back again soon. Thank you!" "I really like your program, I just don't have time right now to fully take advantage." "I would like to take a break form the hurry-up and watch then return cycle for a while :-) I have been with DanceFlix twice so far, the first time for more than 1 and half years, this second time back for 8 months. It has been very helpful to me." "Good site, just not much time to dedicate to dance dvds." "Great service that I highly recommend." "I love this service. The turnaround to receive DVDs is extremely fast and reliable. Great selection. DanceFlix has been a tremendous asset to my dance education." "The two DVD's I have currently are in the mail back to you. Thank you, I found this service most useful and enjoyable." "You should have a section on your web-site for new DVD arrivals. PS: Love your service." "Although I think the service is good and (for me) cost effective, I'm not dancing as much these days due to recurring injuries. I will definitely check back in the future." "I had no problems with Danceflix. I will recommend to anyone and probably be back myself. The service is excellent, I couldn't ask for much more." "I am pleased with your service but at this time I must stop the service." "I will sign up again when I have more time to study these videos. Thank you. Great service, great program." "Great service. I have rented everything I was interested in for right now." "Expedited shipping was a big plus especially for people who live in Hawaii and have to wait for the mail service." "You guys are exceptional in response time and customer service!" "Your service is great! Love the DVDs. I'm traveling for the summer and when I come back, I'll reactivate my membership. My three rentals are on their way back to you. Thank you!" "I am loving the service this company offers..please pass this comment along to management. Thanks." "I will definitely try this service again because it is a great deal. I will be a future returning customer." "The DVD's that I received, were in great condition and played well. I am however requesting not to be sent anymore DVDs at this time. We are coming up on the downslope of competition season and preparing for recital. Thank you for the DVDs, I will most def be back to rent more. Thank you again." "I'm moving to Argentina, the services was very good at the beginning, then at the end started to arrive slow I'm sure you can make it better than the last month. But it's a very good service." "And the mailer is on its way back to you with my thanks. Christy Coté & George Garcia's The Art of Improvisation finally gave me information and concepts about Argentine Tango that no other instructor had done to date. It felt like being handed keys to a new house. Antón Gazenbeek's Secrets of Leading Argentine Tango packed an incredible amount of clear and concise information into just 33 minutes. I wish I had this knowledge years ago as I would have an incredible lead by now. Now I know what to practice and how to get feedback on my technique. I was so impressed that I purchased all of his DVDs. The ladies are starting to notice the difference. Looking forward to the next DVDs. "I love the service but I need some time to digest and practice what I have learned. I will most likely restart my membership in a few months or so. Thanks so much for the great service!" "Thanks so much. DVD is in the mail. Great service." "I'm really enjoying my DanceFlix membership and experience. I teach dancing at several central-Illinois locations, and always enjoy seeing how other instructors explain the basics. Your DVDs have proven really helpful, thanks." "Thank you so much for all the help. I will take a break from dancing for a while ... Danceflix provides great benefits for dancers. I will recommend it to others." "Awesome! thank you. BTW... I am very satisfied with ya'lls service and product. Enjoy doing business with you!" "I am quite satisfied. My approach has changed after viewing your dvds. The DVD and your services are excellent. Thanks!" "Great program! I am sure I will rejoin!" "I know I had already sent in a testimonial, but I couldn’t wait to share what DanceFlix, and their excellent service has done for me in less than a month. After reviewing several DVD’s my first month I purchased several of the ones I reviewed, and deciding against buying three others that if not for DanceFlix I would have purchased anyway. The DVD’s that I rented were good enough, but I decided that the Dances taught were not for me. So, in just 3 weeks of using DanceFlix I saved 150 dollars by not buying DVD’s I had no use for. I love being able to preview videos, deciding what I like, and what dances I don’t, in the comfort of my own home without wasting hundreds of dollars on private lessons only to decide a dance is not for me. The great thing is that I don’t even have to worry about keeping DVD’s that I don’t like. When I’m done, I simply drop them in the mail and within a few days I have my new ones. In fact, I’d have to say the one thing I love the most is how simple it is to rent and return these DVD’s—watch, return, and like magic I have new dance moves delivered straight to my door. Now, to be honest, I haven’t spent a great deal of time with any one DVD practicing, right now I’ve simply been previewing. However, with the knowledge I have gained watching some of the best dance instructors in the world I have learned a lot of things about dancing that I never knew. This, in fact, has translated into better dancing. My dance teacher, my wife, and friends have seen a great change in my level of dancing in just a few short weeks. They all say that I seem to be dancing with more confidence, and better precision. All have asked what my secret has been, and I simply speak one word—DanceFlix. So once again, I thank you DanceFlix, I look forward to continued improvement, and have rededicated myself to the art of dance thanks to you. Your service is simply the best." "I love dancing, and I'm thoroughly enjoying DVDs from Danceflix. There are plenty of genres to choose from for beginners and advanced dancers, and the DVDs arrive on time. There was confusion about one DVD, and you were wonderfully accommodating. Thank you for the excellent service. I couldn't ask for more. I will gladly recommend Danceflix to anyone who has the slightest interest in dancing." "I love this site. Dance Flix is a great DVD rental site. Here you can rent all kinds of Dance videos. They have everything and you can learn to dance with these videos and so much more. Like Ballroom dancing, or swing dancing. Check them out!" "Thank you, I am glad I was recommended to your site. I found it a valuable resource." "This is a lovely site. Thank you so much. Unfortunately my dance interests were limited to the several titles your online site had to offer. But the experience was once-in-a-lifetime. I would have never been able to see and view so much without your site. Again.. Thanks so much." "Nice service. Recommending to others." 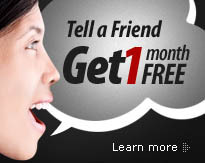 "I think this is a great program and I plan to re-subscribe in the future. My husband and I just have too much going on right now to make the most of this membership. Thank you!" "I have new job assignment out of state. Will come back once my assignment is completed. Thank you!" "Thank you for your great service!!!" "You have a great selection of DVD's. I like that I can start and stop my membership." "DanceFlix offers a great service. I have enjoyed using your DVDs to learn more about dance. Unfortunately for a back injury, and surgery in the near future I will not be dancing for 6 months my doctor says. Hopefully it will only be 3 months before I am back. Thank you very much!" "Thanks for great service, I will restart at a later time." "Thanks for the great service. My only complaint would have been that when I changed to a two disk plan I had to send them both back at the same time." "Good service - Will consider starting back up soon!" "Thank you very much for your excellent service!" "Good program, I will return in several months." "This is a great site. I'm just a little too busy right now. I'm definitely coming back when I have more time. The delivery was fast and the plan was affordable." "Thanks, I have enjoyed your service and your DVD's and may again subscribe in the future. I will be returning the latest DVD you sent me." "I love this service! I will restart my plan when I can spend more time with the DVD's. I just don't have the time right now." "I love your service. I have been using dance videos in conjunction with dance lessons as a means to enhance my dancing. I have purchased many videos to help me on my quest to become a good dancer. The problem is that buying dance dvd’s can be costly, which I don’t mind if the dvd is worth the money. However, I have paid for good dvd’s, and some bad ones. With Danceflix, I can now rent, preview, and determine which videos are worth their weight in gold, and which ones are simply a waste of money. In the long run Danceflix is going to save me hundreds, if not thousands of dollars. Not to mention the money I’ll save in private lessons as my instructors will no longer have to waste time teaching me patterns over and over again when we could be working on something new. Now I’ll be able to practice in the privacy of my own home, and use the time in the dance studio to perfect technique. I think I’ll use the money I’ll save on a second honeymoon for my wife and I. Or maybe just some new shoes. (LOL) Thanks Danceflix!" "I'll definitely be a returning customer. Just don't have the time right now. ;-)"
"What a great service you have! I would like to suspend my membership for a month. I am hoping you have this option. Thanks, Harry"
"Love the idea. So awesome. Only problem is that I'm based in South Africa and pretty sure you don't do rentals that far lol." "I'm pleased that I was able to check out the Foxtrot DVD. For the most part, I like to own the DVDs, but I think the time it takes to turn DVDs around is an issue for me. I really like your service for exploring what's out there." "Thank you very much! Great customer service is hard to come by these days!" "I like your service and may rejoin, but not enough time currently to make good use of it. Hope you stay around and thanks!" "My partner and I reviewed the discs we rented and we meticulously wrote down the foot work for the steps of the dances we thought we could learn or desired to include in our routines. We now have enough steps to learn in the dances we do to last us a very long time. We very much enjoyed the videos and will again rent more but for now we have more than enough material to keep us busy for a very long time. Thank you." "The plan is great, I'm just having some issues with my knee right now. I will look to reactivate my account at a later time. Great program!" "I've enjoyed the dvds and think yours is a very useful service." "Worked out fine. Will restart another time. I just don't have the time right now. Have recommended you to other people. Thanks!!" "Great service! I would like to see you get the following two titles... Country-Western Night Club Two-Step (Gold) Syllabus Country-Western West Coast Swing (Bronze) Syllabus." "This company has great customer service and the selection of dance videos can't be beat. Others should look at this company for dance dvd's you can rent." "Great for dance teachers and anyone looking to learn a new style! They have a wide range of DVDs..from ballroom to lifts & turns!" "Great service, thanks so much! I have recommended your website to many other dancers, and I might restart my membership when I have the time to devote to dancing. Cheers!" "Great service, but don't have a lot of time to keep getting new dances in the mail and making great use of the service." "Although the DVD's often took a long time to process through the mail system I will resume in the future when I may have more time." "We rented a Rumba DVD specifically for a dance at our wedding reception. It worked great, thanks!" "Overall I enjoyed your service. The dvds arrived in a reasonable amount of time and gave me some new ideas to play with." "I loved the danceflix service but I don't have the extra funds for it right now. I hope to renew my subscription in the future, though!" "Great service and very useful for dance moves. I recommend to my friends!" "I loved the Intro to Shag DVD, I'm just too busy to learn right now!" "Great exercise videos as well. Thanks for your excellent service!" "The service is great although the dvds did take a long time to arrive. Other than that everything was great." "Danceflix is great! Love the Express Returns feature. I'm taking a break from dance DVDs for a while, but expect to be back." "We love DanceFlix and your service is superb! Fabulous Service... a Godsend Good Luck." "I'm sorry I can't take advantage of your service at this time. You provide a great product with excellent service! I hope to come back soon." "This is a really great site. You provide a great resource for dancers and service is very good." "Fast service. Nice Selection. Highly recommended." "I'm very pleased with your service.. danceflix is an appropriate way to learn dancing and to save money. Before I spent a lot of money to buy a dance dvd now I pay only about $15. a month for 4 dvds I like"
"I had to put my membership on hold for a few months, but I love your service. I recommend it often, and I'll be back soon. Thanks!" "Love the plan. Would prefer a quicker turn around time for DVDs. I will be off my feet for an extended period of time so I cannot use the plan for a while." "This is a great site to learn different dances at the convenience and privacy of your own home!" "Highly recommended.. They are really great." "Great service, hope to come back to it soon." "Helpful website for dancers of all levels -- beginners and advanced dancers"
"This site is such an awesome service to dancers!" "Excellent service - I may well resubscribe when I have more time. Thank you!" "I love that your service exists, I seriously just don't have time right now. Thank you." "I love the unique service you offer. Service is excellent.. Thank you!!" "Laid off of work no more extra money, but did enjoy service :)"
"What a great concept. Love that I can learn how to dance from the comforts of my own home and DVD player!" "Voted Best and Most Unique Business Website"
"Featured Business on Facebook by Office Depot." Feel free to email us your own testimonial. Thank you! Subscribe to our monthly newsletter for the latest news and promotions. © 2019 DANCEFLIX, ALL RIGHTS RESERVED.